As we approach the scheduled 16th of February date for the general elections in Nigeria, INEC has assembled a supergroup of musicians to help raise awareness on the importance of making their votes count. Their selection, 2Baba, M.I, Tenitheentertainer, Waje, Chidinma, Umar Shareef and Cobhams Asuquo are among the most loved and successful artists in the country. And though they all have their individual agendas, unique style and specific sound, they leave their difference behind to deliver “Not For Sale”, a heartwrenching plea for citizen to exercise their franchise. Over a piano led beat, 2Baba takes the lead asking “No Sell Your Vote Oh” for the hook. All 7 artists contribute their verses, giving convincing reasons for why voting is important for the future of the country. The sparse and laid back beat leaves enough room for each artist to show off their individual quirks and that unwittingly highlights the national importance of INEC’s course. The single was released along with a music video directed by Paul Gambit who featured graphic images of some of the concerning events from last year. All the artists on the line up were also featured, flanked by dancers and some notable cameos, Wale Macaulay, Segun Obe and Funky Mallam. 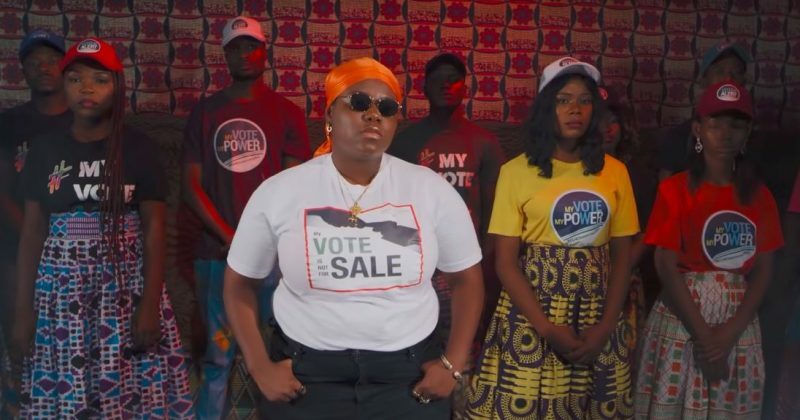 Though this isn’t the first time artists are making jingles geared towards election season, “Not For Sale” is a progression from the previous years because this time, the artists are nonpartisan to any political party. This could be indicative of the increasingly apathetic attitude Nigerians seem to be showing towards ensuring their votes count. 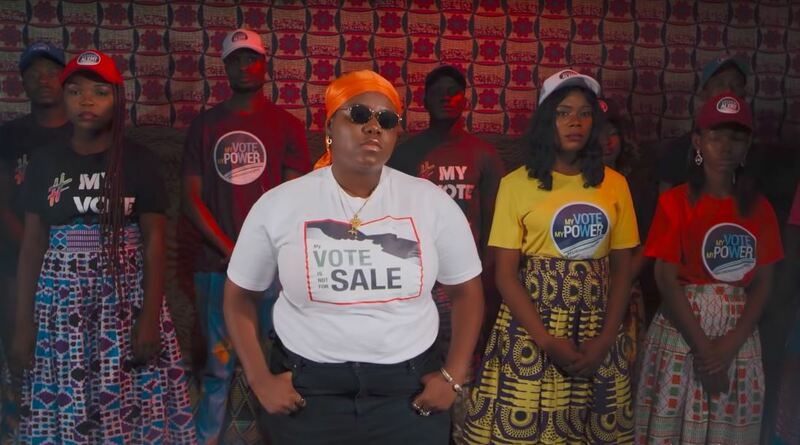 You can see the music video for INEC’s “Not For Sale” featuring 2Baba, M.I, Tenitheentertainer, Waje, Chidinma, Umar Shareef and Cobhams Asuquo below.